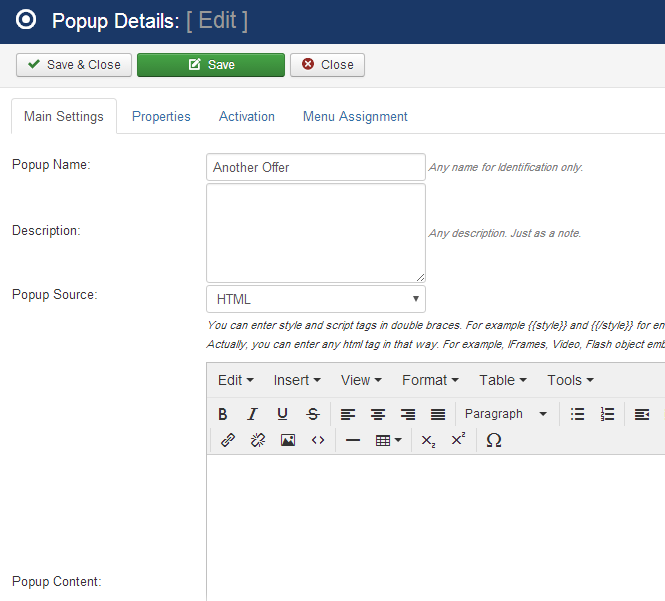 You can create popups with any custom HTML using your html editor. Text option is available to paste your full HTML code with linking styles and scripts, including the embedded ones. You are free to show anything in your promotional popup. A pinterest pin, a facebook resource, a YouTube video or anything else. The choices are virtually unlimited. External URL option can be used to show content of any external url as a promotional popup on your website. VirtueMart Category is also an option. 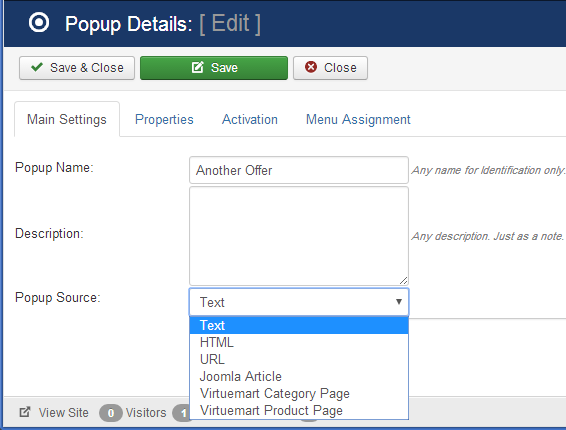 As you will see in the screenshots below, a VirtueMart category can also be shown in a popup to your visitors. You may also show any VirtueMart Product to your visitors. Usually this is used to show products which are discounted heavily as a part of your ongoing campaign. Usually popups are shown automatically on page load. You can select a delay optionally. 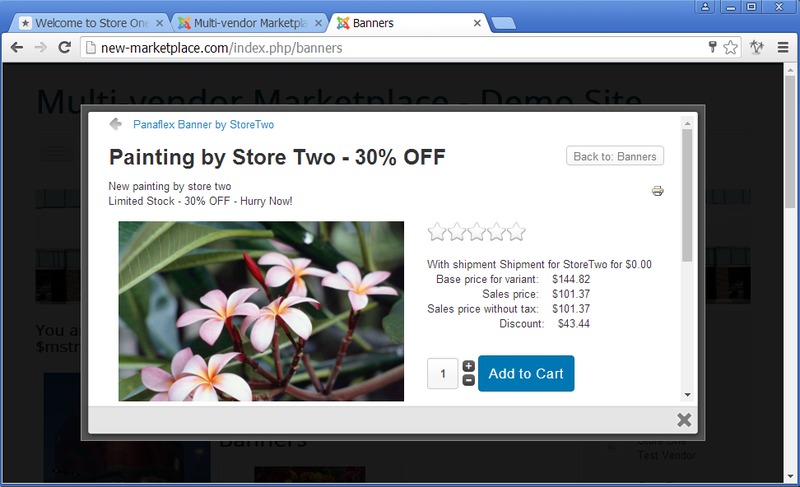 This is great if you want to show the promotional popup to your visitors after a period of time. For example, show a promotional message after 15 seconds. 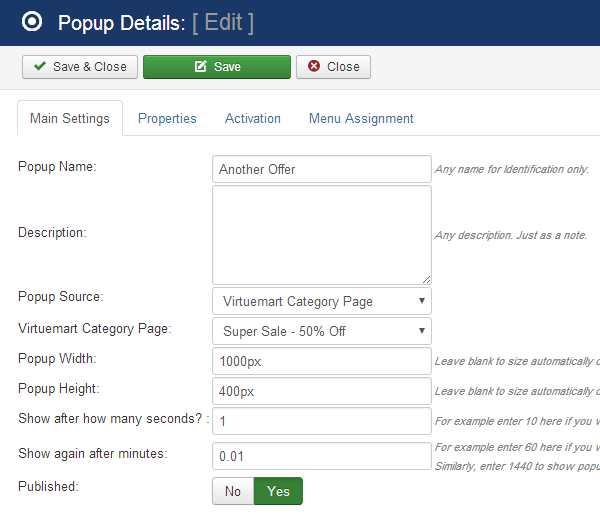 Besides this, you can also show the popup on click of button, link or menu item. This is great if you want to show a discounted product on click of a corner ribbon or any other promotional object like that. 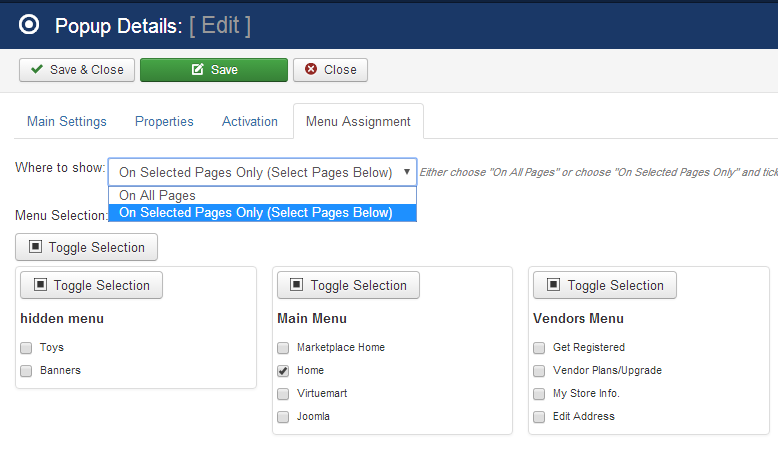 This is probably the most powerful feature of our Intelligent Promotions extension for VirtueMart and Joomla. Suppose you have a 50% discounted toy and you want to show it your customers but it is important that you show it to those who are browsing relevant categories and/or products. Showing a discounted toy offer to somebody who is browsing something irrelevant may not increase conversions. Similarly, a discounted car accessory will be more interesting for those who are browsing related stuff. 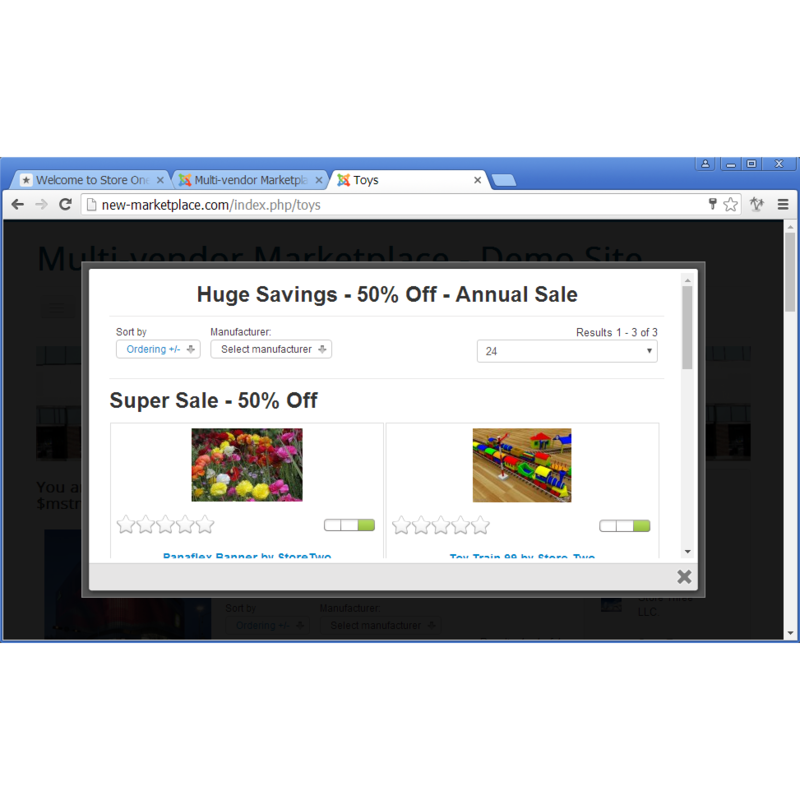 With this intelligent promotions extension you have full control over when and where you want to display the popup. Of course you don't want to show promotional popup on every page load. 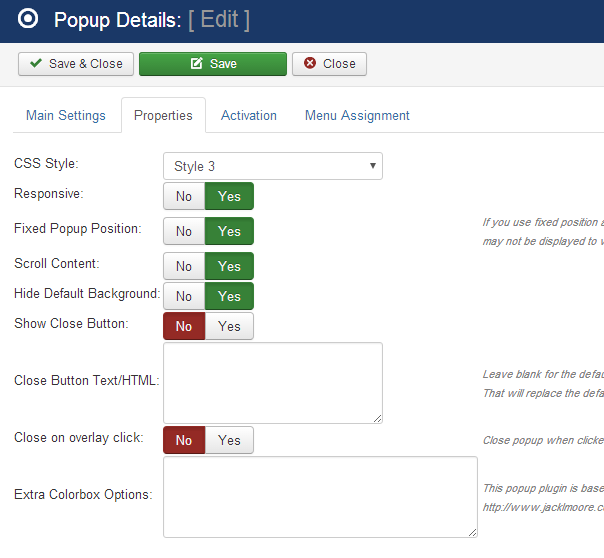 To handle this, you have full control over time when you want to show a popup again to a visitor.